Is it a flower or what? On 6th August 2017 Gwen Richards and I were botanising around the old gravel quarry on the top road at Culkein Stoer (NC033326). In one place on the edge there was a small stand of sneezewort Achillea ptarmica, with white and yellow daisy-like heads of flowers and characteristic saw-edged leaves. Gwen noticed one shoot that looked markedly different, with a crowded terminal rosette of leaves sheltering a dark spongy structure in its centre. This was a communal gall of the midge Rhopalomyia ptarmicae, the spongy tissue of which had housed and fed a number of larvae; these had changed into pupae, from which the adults had already emerged. 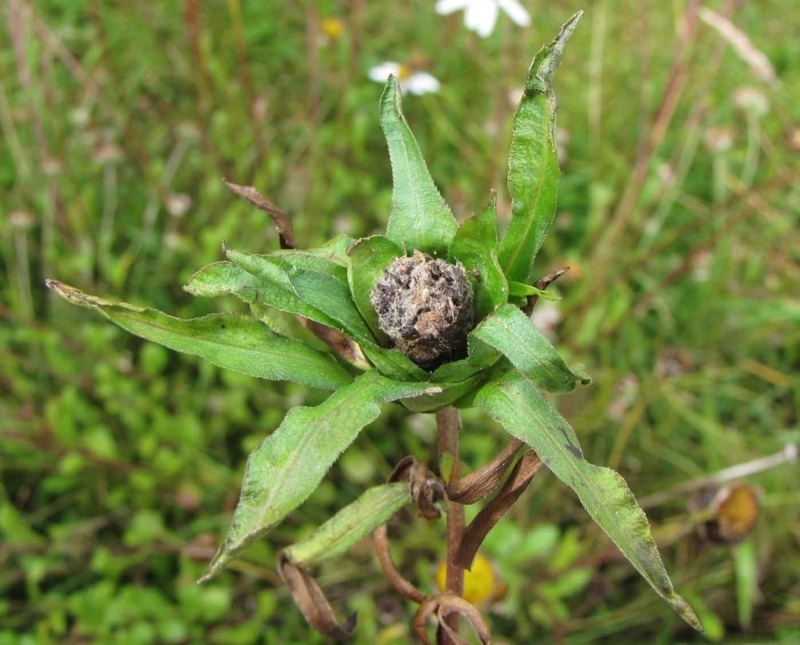 Galls are composed of plant tissue fashioned, under the influence of the causers, to provide just the right conditions for the development of their early stages. They are often very specific to one part of a particular host, as in this case. It does make you wonder how the young larvae manage to divert the host into making a home for them rather than heads of flowers.